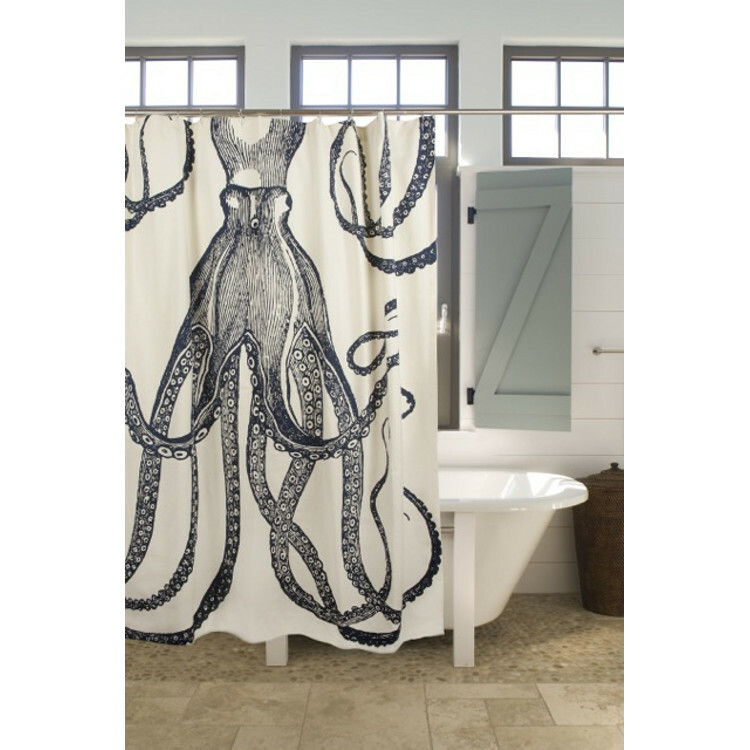 A gigantic octopus has escaped the sea and landed in your bathroom! 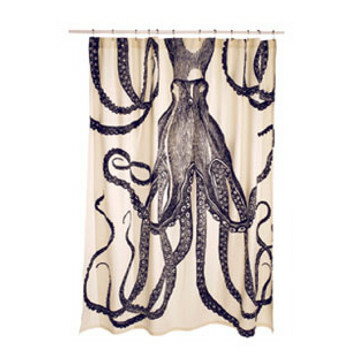 Beware of this darling Octopus Shower Curtain by Thomas Paul. It's a fantastic addition to any coastal bathroom. Bold and dramatic are the designs from ThomasPaul. Unbleached medium weight cotton canvas. 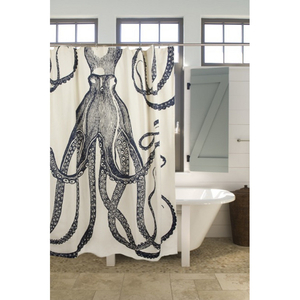 This beach themed shower curtain has a 2 inch bottom hem and standard loop holes for easy hanging. 100% cotton and hand screened and hand sewn.